Welcome to realmscape.org, a website dedicated to providing information on various aspects of spirituality. Within this website you will find a variety of contents ranging from essays, to fiction and poetry, to artwork. With this website we aim to provide you with information we find to be useful, relevant and interesting. 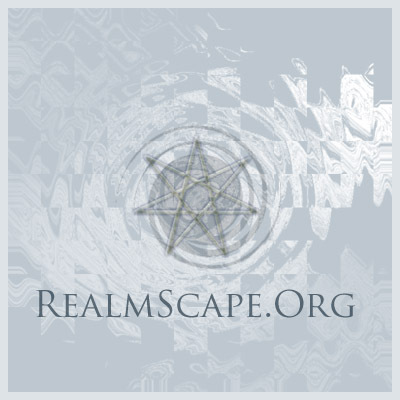 Along with this website, we also have a forum and an IRC channel for discussion of related topics. Please feel free to join in either one, or both, if you feel like a good discussion. This website is currently still under construction, so we appreciate your patience as we finish putting it together. Website and Graphics Copyright 2002, LadyTia and Alania. All Rights Reserved. Duplication in whole or in part without express written permission from the authors is strictly prohibited and will not be tolerated.